(BPT) – Sparrows to doves, mockingbirds to magpies, every bird that visits your backyard this season will bring its unique brand of delight. Yet when a particularly colorful species shows up, you can’t help but feel a special thrill at the beauty of their plumage and song. You can take steps to draw the most colorful species to your feeder and fill your backyard with their vibrant, bright displays throughout the season. First, research what types of birds live in your region. Some species may summer in your area and then winter elsewhere. Some may arrive in spring to breed and raise young, only to move on as fall approaches. Online resources such as the Audubon Society’s bird guide can help you identify the colorful species that may be found in your area this summer. Next, take action to make your backyard attractive to the birds you want to attract. Provide their preferred nesting habitat, plenty of fresh, clean water and a reliable supply of their favorite foods in a style feeder they favor. *Cardinals: Among the best-known and most-loved backyard beauties, cardinals vary in hue from the brilliant red plumage of the males to the more subdued brownish red feathers of females. Both genders have black markings around the beak and darker feathers on the wings and back. Cardinals are seed eaters and are particularly fond of Safflower and Cole’s patented blend, “Hot Meats,” seed. They are attracted to the bitter taste of Safflower and go nuts for the spicy flavor of Hot Meats. Hot Meats are nutritious sunflower meats infused with fiery hot habanero chilies. A great no-waste, no-mess feed, it delivers more feed per pound, and no need for under-the-feeder cleanup. The chili peppers taste hot to mammals like squirrels, but birds do not feel the heat at all. Cardinals also appreciate suet, so be sure to serve this high-energy food in different varieties throughout your back yard. *Bluebirds: Don’t mistake the sassy blue jay for a bluebird. These brightly colored birds sport brilliant blue feathers on their heads, backs and the tops of their wings, and warm russet fading to white on their bellies. Bluebirds stand out not only for their beauty, but also for their taste in feed. Bluebirds love spice and suet, so try a feed with some kick, like Blazing Hot Blend. All natural and chemical free, this blend combines a patented habanero chili oil formula (which appeals to birds but keeps squirrels at bay) with the most-preferred types of seeds. Bluebirds love every form of suet, so serve up Hot Meats Suet cakes, or a specialty suet like Suet Kibbles. They also favor mealworms, so to avoid the “ick factor” of serving live mealworms, try Cole’s dried mealworm version. *Goldfinches: When one of these bright yellow and black birds visits your yard, it’s like a slice of sunshine has settled at your feeder. With vivid yellow bodies, black masks above their beaks and black and white striping on their wings, goldfinches are among the flashiest, most vivid visitors to backyards. 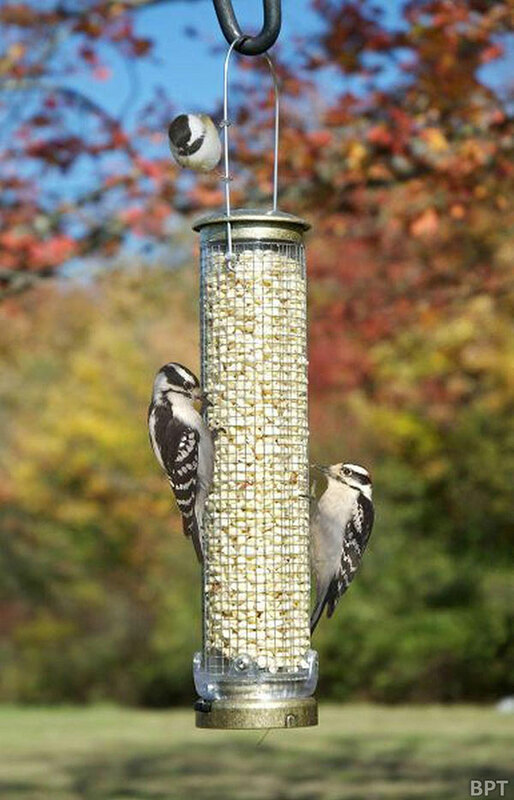 Lure them with sunflower, and niger seeds, or try Finch Friends, which combines their two favorite seeds in one mix. *Indigo bunting: Another beautiful blue bird, the indigo bunting is also known for its boisterous and lovely song. Indigo buntings favor seeds and berries, but will also eat insects. To beckon this bunting to your backyard, try serving White Millet, a favorite seed choice. *Baltimore orioles: That blaze of brilliant orange, capped by black may herald the arrival of a Baltimore oriole in your backyard. 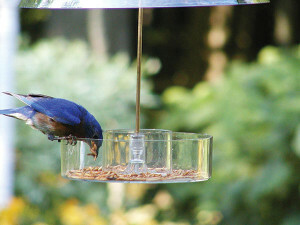 Woo these flashy fellows by serving cut fruit and berries, as well as peanut butter and suet. Cole’s Natural Peanut Suet Cake delivers the peanut butter base that orioles and other songbirds prefer, paired with the energy benefits of nutrient-dense suet. An interesting fact is orioles will try and feed off of hummingbird feeders; they like the nectar! 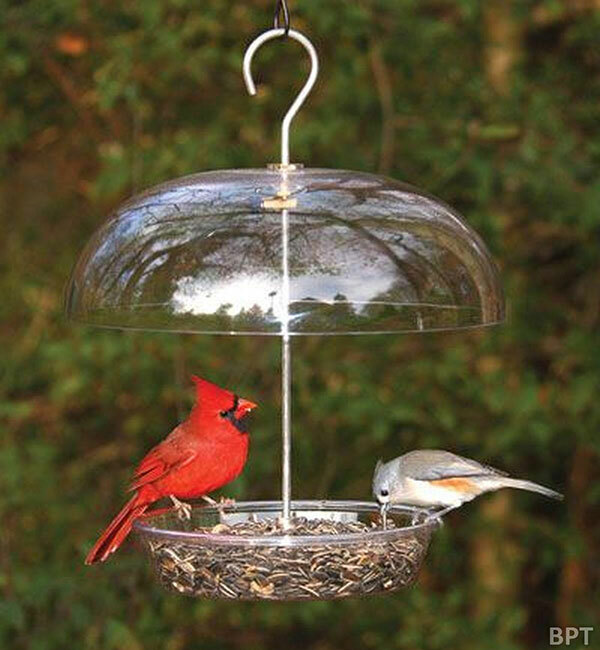 To attract the maximum number and variety of colorful birds, be sure to provide a range of feed types served in a variety of feeder styles, including tubular feeders for seeds, bowl feeders for fruits, berries and nuts, and hummingbird feeders for nectar drinkers. Color-treated lumber keeps your backyard project from becoming a faded memory. (BPT) – There are regular backyard projects and then there are those special backyard projects that bring families closer together, both during the construction and while enjoying the finished piece. 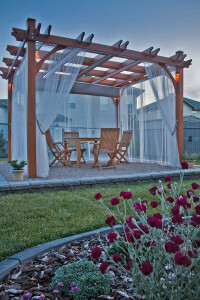 If you want to improve your backyard with a special project for your family this year but you’re not sure what to build, here are a few fun ideas. * Wood raised-garden planter. If anyone in your home has a green thumb, this is a great idea. A raised planter bed keeps the soil warmer longer, which will extend the gardening season. Your plants will also enjoy better soil conditions because the soil won’t be walked on. Finally, raised beds make it easier to protect your plants from hungry woodland animals. * Wood treehouse. 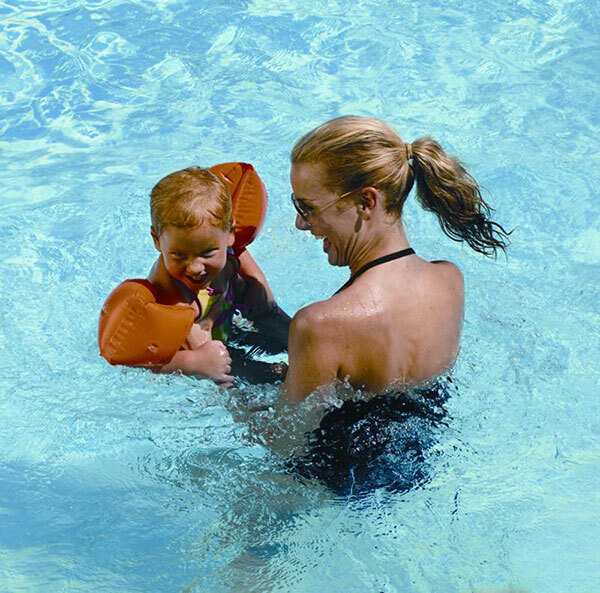 One of the iconic mainstays of childhood: If you have young children at home, they will love it. Incorporate extra elements into your tree house (ladders, slides, climbing wall, etc.) for prolonged enjoyment and consider putting walls on the structure. This will allow your children to play inside longer into the year. * Wood swing set. Build it as an attachment to the treehouse or as a standalone project. In either case, a swing set is sure to be popular. Basing the posts into the ground and building your set from quality treated lumber means it will be ready for your children – and for any full-grown kid who wants to swing away nostalgically. The preservative used in ProWood pressure-treated lumber is safe for humans, animals and the environment. * Wood sandbox. Another iconic childhood toy. Building a sandbox with higher side walls will reduce the amount of sand that spills over the side, and adding a base means this section of your yard won’t be filled with sand forever. You may also consider building a wooden cover for your child’s sandbox to hide toys from sight and from the elements. * Picnic table. Not every project has to be designed just for the kids. A picnic table provides that at-the-park feeling right in your own backyard. Before you start your picnic table project, however, determine what style table you want (square, rectangle, hexagon, etc.) as well as the size of the table. If you have a large family or frequent guests, you may want to build a bigger table (but remember that this table will be harder to move around). If your table will only be used by a couple of people, a small, portable table is probably the better option. 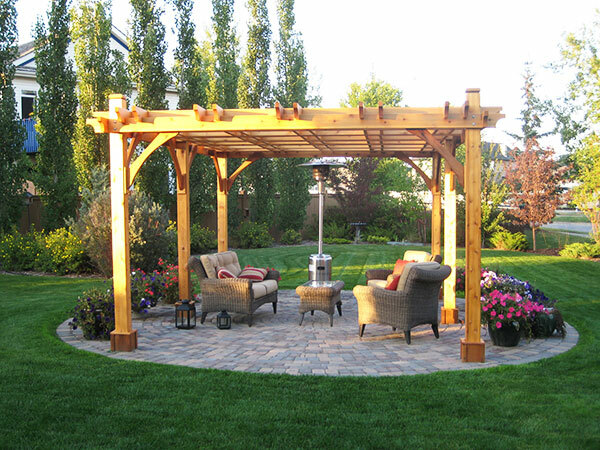 When it’s time to choose a building material for your backyard project, consider pressure-treated lumber, which is both affordable and easy to use. Additionally, some brands of treated lumber give your backyard project a professional-grade look. When using treated lumber, be sure to check the end tag as it identifies the treatment type. Look for the ProWood end tag, because it’s an indicator that tells you it’s building code approved and treated for your intended use. ProWood MCA (Micronized copper azole) treated lumber has a lighter, fresher appearance compared to other current or previous treatments. MCA pressure-treated wood is the logical, safe choice – it’s completely safe for people and pets. To learn more about ProWood MCA treated lumber and to find inspiration for your next project, visit www.ProWoodLumber.com. Keep your plants looking good throughout the season with the proper planting mix. Look for potting mixes with good drainage and water holding abilities, like Schultz Potting Soil Plus (schultz.com). Check the label as some mixes contain enough fertilizer to last the entire season and water-retaining crystals to reduce the need to water. And don’t forget about garden accents. A wattle fence and arbor of twigs and branches work well for an English garden setting, while a water feature can enhance a tropical paradise themed garden, and some southwest garden art can complete the desert scene you’re going for. 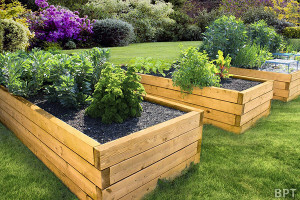 (Family Features) The benefits of having your own backyard vegetable garden are plentiful, and can include significant lifestyle impacts, such as healthier eating habits, money saving perks and more. Looking for a hobby that allows you to contribute to the health of your family? Take up gardening. Beyond producing nutritious foods, it can help you teach your family about local agriculture, all while basking in the tranquility of the great outdoors. Though starting your own home garden can be intimidating, there are a few simple steps to get you started. Once developed, it can yield fruits and vegetables from early spring and into the fall. Find out what vegetables grow best in your area and when is the right time to plant and harvest. Many local university extension programs have this information readily available online. For each plant, consider the amount of water needed, how much sunlight is required and if it should be started from seed or a transplanted seedling. Keep in mind vegetables need at least six hours of sun each day, so plant away from the shade of buildings, trees and shrubs. Planting close to your house may make you more likely to bring your harvest right into your kitchen, and will help you remember to weed and water. 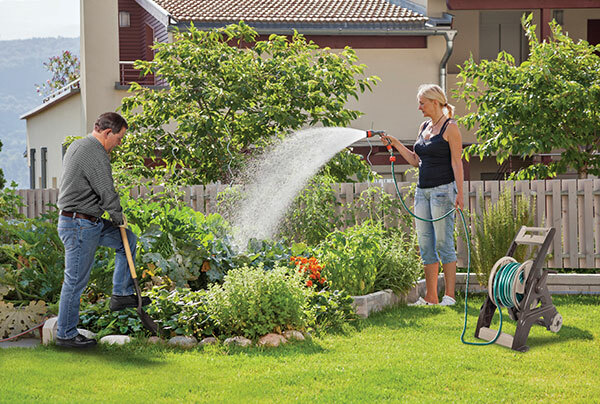 Including rain and irrigation, your garden needs at least one inch of water per week. Make sure you can easily access a water supply nearby. Some products, such as an Ames NeverLeak hose reel, provide convenient hose storage and can easily reach all parts of your yard. Be sure to choose a level area of your yard so when watering it will not pool in lower areas. Use your garden hose or a string to mark the area for proper placement of your garden. Use a sod lifter or garden spade, keeping the area level and removing as little topsoil as possible. Next, use a round point shovel, such as the True Temper True American Round-Point Shovel, to dig into the soil about 12 inches, breaking it up and removing clumps. To encourage proper drainage and escape light freezes in early spring and fall, construct a raised bed by creating a border with wood slats and filling in with soil. Use a rake to create a smooth finish and remove debris or stones on the surface. You may want to add manure, compost or soil additives to provide additional nutrients in the soil. Determine if you will be starting your plants from seeds or transplanting small seedlings. Be sure to research how much room each plant will need and plot the layout of your garden. Dig V-shaped furrows using a warren hoe or the edge of a garden hoe. Carefully distribute the seeds in the furrows evenly and in accordance with the instructions on the seed packet. Cover the seeds and pat down gently, then water thoroughly. Use this information for a fruitful harvest this gardening season. 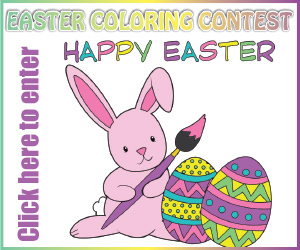 For more tips, visit www.AmesTrueTemper.com or www.Facebook.com/TrueTemperTools. (BPT) – Parents and children enjoy spending quality time together, but it’s not always easy to find shared interests. 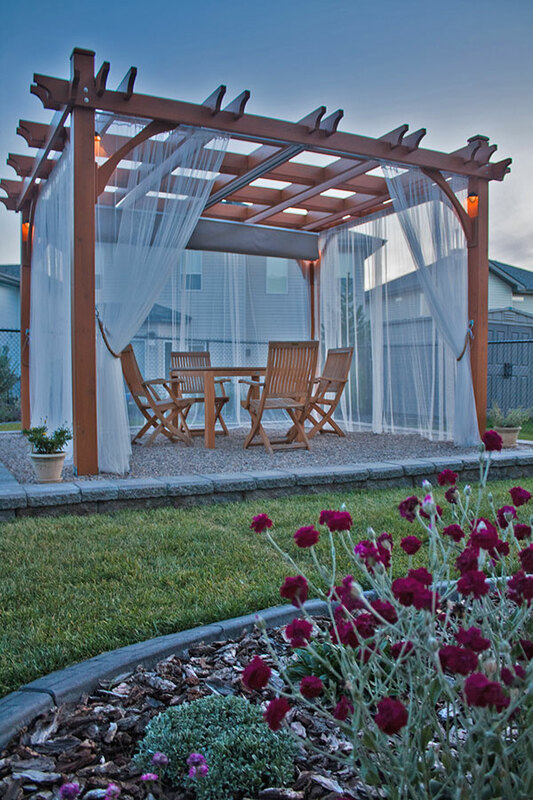 The backyard, however, can provide the perfect place for generations to meet when parents help kids learn the delights of bird-watching and bird-feeding. Interacting with backyard birds benefits children on many levels, including teaching them the responsibility of caring for other living things to nurturing their appreciation of nature. Fall and winter are the perfect times to introduce kids to backyard bird care; as food sources dwindle in their natural habitat, birds will frequent a backyard where feeders serve up seed and suet daily. * Tube – Best for serving seed, tube feeders keep the contents clean and dry, providing birds with access to the food through feeding ports. They’re great all-purpose feeders and will attract the most variety of songbirds. It’s important to clean tube feeders regularly, so choose a model that’s easy to clean. Cole’s high-quality tubular feeders are made with state-of-the-art materials to prevent warping, discoloration, and they feature Quick Clean removable bases that make cleaning fast and simple. Feeder bottoms pop off with the push of a button. * Bowl feeders – If separating seeds into different feeders gets too complicated, bowl feeders can be an all-in, easy solution. Options like Cole’s Bountiful Bowl Feeder can accommodate a variety of feed types, from seed and suet to mealworms, fruits and nuts. Bowl feeders are especially good starter feeders for children since they are easy to fill and clean. * Suet feeders – During cold winter months, suet is an essential source of energy for birds. Suet feeders can range from a simple mesh onion bag to a wire or plastic mesh box that affixes to a tree, or post. Woodpeckers, warblers, nuthatches, titmice, jays and chickadees love suet. Whatever styles of feeder you choose – and a mix is ideal – be sure to select feeders that are sturdy enough to withstand winter weather and unwanted visitors, like squirrels. They should be tight enough to keep seeds dry, and easy to disassemble for cleaning. Most importantly, keep them maintained and stocked – if you neglect to feed them, birds will go elsewhere. * Suet – Long gone are the days when serving suet was a messy proposition. Kids can serve suet without messing up their little hands when you choose convenient suet cakes, kibbles, nuts and pearls. Many of these suet options are mixed with other treats birds love, such as nuts, grains and berries. You can even find options with habanero pepper infused in the fat to dissuade squirrels from dining on the suet. Nutberry Suet Blend, by Cole’s, mixes human-grade cherries, apples and blueberry-flavored cranberries, preferred nuts, nutritious insect suet kibbles and whole kernel sunflower meats into an energy-packed, powerhouse feed. * Seed – Many songbirds favor seeds, and in winter it can be difficult for birds to find seeds in nature. From black oil sunflower seeds and Niger to seed mixes, it’s important to serve a variety of high-quality seeds. Choose mixes with large proportions of sunflower seeds and avoid ones with fillers like wheat, milo and corn; birds will pick out the appealing seeds and kick out the filler. You can learn more about seed mixes at www.coleswildbird.com. * Dried mealworms – Although the name might imply an “ick factor” that appeals to kids, serving dried mealworms is easy and mess-free. High in protein, mealworms are favored by bluebirds, flickers, woodpeckers, siskins and nuthatches. Plus you don’t have to feed them or keep them in the fridge like with live mealworms! Introducing kids to backyard bird-feeding is an enjoyable and easy way to connect families with nature and to each other. All you’ll need is a feeder, bird feed and some time. The birds will come, kids will surely enjoy the experience, and you’ll all have some good family fun.